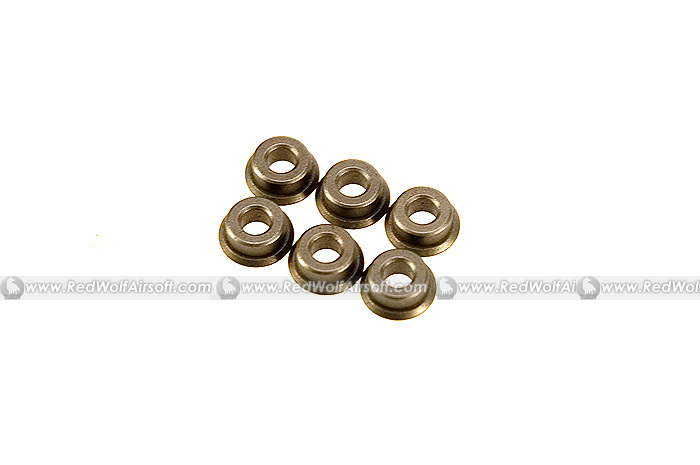 Low friction steel bushings for your AEG gearbox. Comes in a set of 6 pieces. Manufactured by Systema Japan.